We take varying lengths of roughly 3/8" rope and bond them together into a single strand (reducing our scrap waste), then neatly weave them together to create a truly unique rug. Our mats and rugs are extremely durable and are well suitable for either indoor and outdoor use. They are easy to clean with a hose, power washer or dip in the ocean/lake. 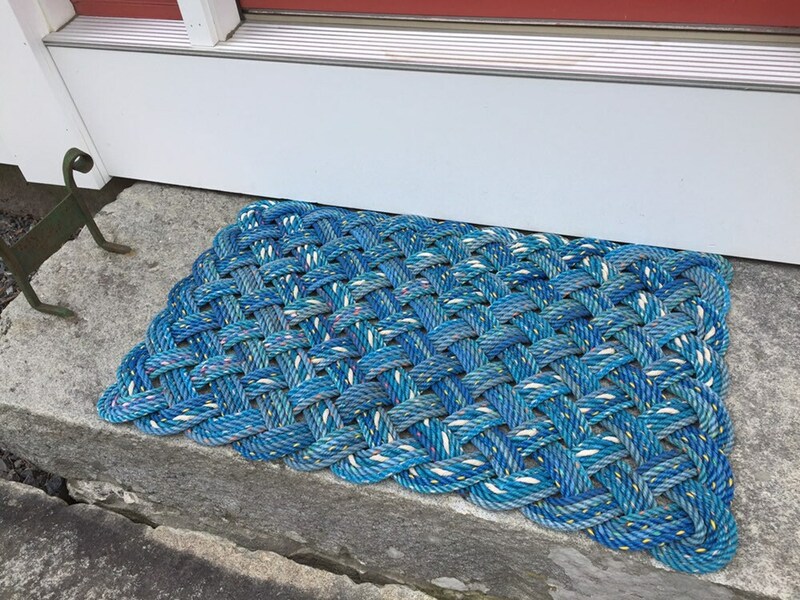 The pattern is woven with 4 passes of various blue colored upcycled lobster rope. The pictures shown are of the exact mat you would be purchasing.